Beginning with the fall 2018 semester, ICC is making it easier for busy adults to start and complete their degree or certificate. Evening College includes specific programs of study where all required classes are scheduled on the same campus during convenient evening hours. These programs will continue to offer daytime course meeting times, as well as course start times of 5 pm or later for students who want or need a later class start time. “Previously, students who had work or family commitments may have had to choose between completing their program of study or taking care of their kids and keeping a job. Evening College gives these students options,” said ICC Vice President of Academic Affairs Dr. Emmanuel Awuah. 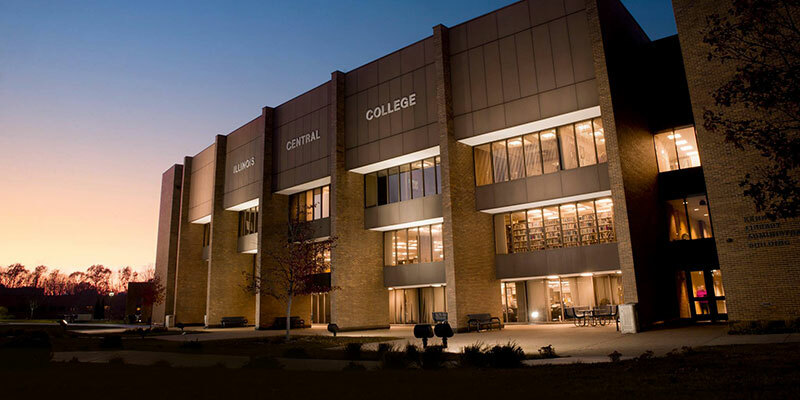 Evening College includes a broad range of programs offered at either the East Peoria or Peoria Campuses for the fall semester. Some of the degrees and certificates students can complete entirely in the evenings include: both the general Associate in Arts and Associate in Applied Science degrees, Accounting Bookkeeper Certificate, Associate of Applied Science Business degree, several CISCO and Networking degrees and certificates, Production Welder Certificate, Culinary Arts Associate in Applied Science degree, Medical Assistant Certificate, Medical Office Administrative Assistant and Medical Coder certificates, Phlebotomy, Emergency Medical Technician certificate, and Certified Nursing Assistant certificate, to name a few. For a complete listing of Evening College programs, visit icc.edu/evening-college/. For questions regarding Evening College or to enroll, contact Advising Services at (309) 694-5281.